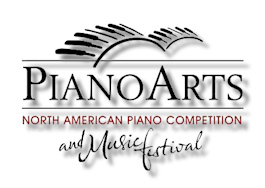 On June 11, the 2014 PianoArts North American Biennial Piano Competition and Music Festival concluded its final rounds in Milwaukee at the Wisconsin Conservatory of Music and the Marcus Center for the Performing Arts. The preliminary round was held in March with blind auditions. The semifinal and final rounds were held from June 6 to June 11 and culminated with a public performance by the three finalists of a complete piano concerto accompanied by the Milwaukee Symphony Orchestra conducted by Andrews Sill, PianoArts Music Director. All of the twelve semifinal contenders had to give a complete recital plus a performance of a complete concerto accompanied by another pianist. First place winner was Carmen Knoll, age 16, student at Juilliard's Pre-College Division, who gave a brilliant performance of the Saint-Saëns Second Piano Concerto, earning a highly unusual standing ovation from the orchestra players. She also was given a prize for the best perfomance of a work by Bach. Second place winner was Tristan Teo, age 17, who played the Mozart Concerto Number 21 in C major. He completed his secondary education at the very young age of 15 and studies now at the Juilliard School. He was also given a prize for best performance of an American work. 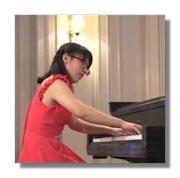 Huan Li, third place winner, from Guangdong, China, age 16, also studies at Juilliard's Pre-College Division. She gave a fine performance of Beethoven's Third Piano Concerto – my only reservation was in her choice of cadenza – and her beautifully played slow movement was very moving. I would have put her in second place myself. She also received a standing ovation from the players. Most of the semifinalists have been winners in other music competitions. 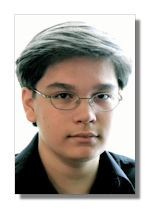 One I considered particularly outstanding, in a performance of Shostakovich's Prelude and Fugue in D-flat major, which she played in a joint recital before the final round, was Aleksandra Kasman, 19, born in Moscow and living in Alabama. She was awarded a scholarship to Mannes College of Music. I think she may have narrowly missed being among the finalists, and will be someone to watch. 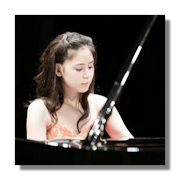 She studies with her father, Yakov Kasman, silver medalist in the 1997 Van Cliburn competition, and who has had a distinguished career as pianist. The jury members for the semifinal and final rounds were Lydia Artymiw, Distinguished McNight Professor of Music at the University of Minnesota; Yoheved Kaplinsky, Chair of Juillard's Piano Department and Artistic Director of he Pre-College Division; and Andre-Michel Schub, on the piano faculty of the Manhattan School of Music, an artist member of the Chamber Music Society of Lincoln Center, and director of two regional music festivals. They have all performed widely. Competition was for pianists age 16 through 20, citizens from any country in the world but living or studying in North America. The three finalists were from the U.S., Canada and China. Semifinalists were from Peru, Taiwan, and parts of the U.S ranging from Alaska to Alabama.